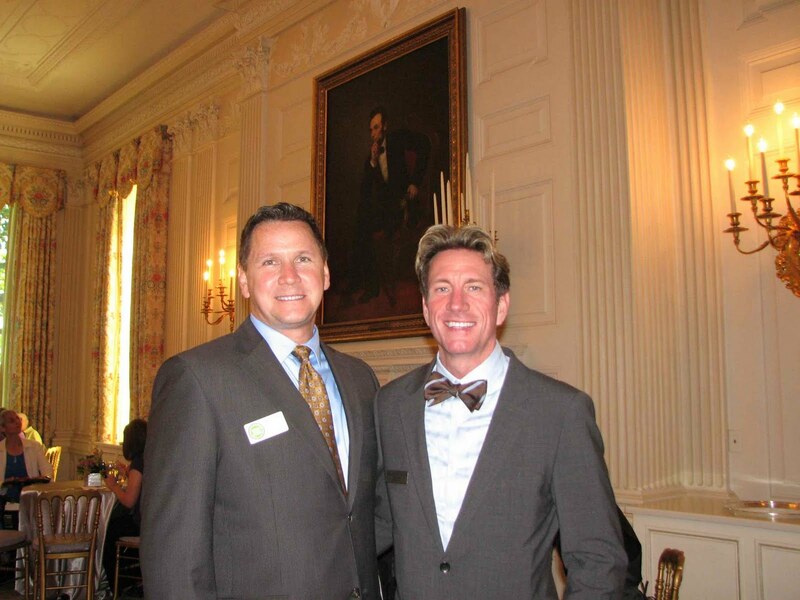 For the second year in a row, Equality Florida was in attendance at the White House Reception for LGBT Pride Month and it was an extraordinary experience. 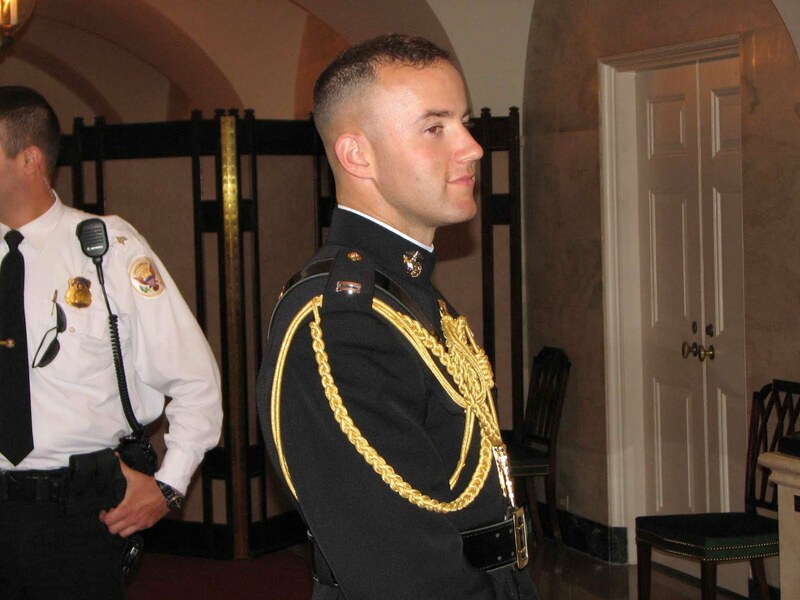 You might recall that last year, Nadine and Stratton traveled to the White House. There, Nadine asked for the President’s help and handed him a letter and photo of Martin Gills sons, who were at the center of a court battle seeking to end Florida’s 33-year ban on adoption by gay parents. This was three months before the historic decision came down that found Florida adoption ban unconstitutional, thereby ensuring Martin could adopt his sons. Had the decision gone differently, we were all keenly aware that those children could have been removed for the only family they really ever knew. It was the weight of this possibility that pushed Nadine to ask for help from the President of the United States. Nothing so dramatic happened this year, but it was nonetheless an experience of a lifetime, and one I am grateful to have been able to share with my life partner, Kim Byrd. Kim is President of the National LGBT Bar Association and attended the reception as a result of his work to promote greater LGBT acceptance and diversity in the legal profession across the country. The first highlight of our trip was running into Mitt Romney in the bathroom of Washington National Airport. All “wide stance” jokes aside, it set the tone for having arrived in our nation’s capital, one of the greatest power centers in the world. 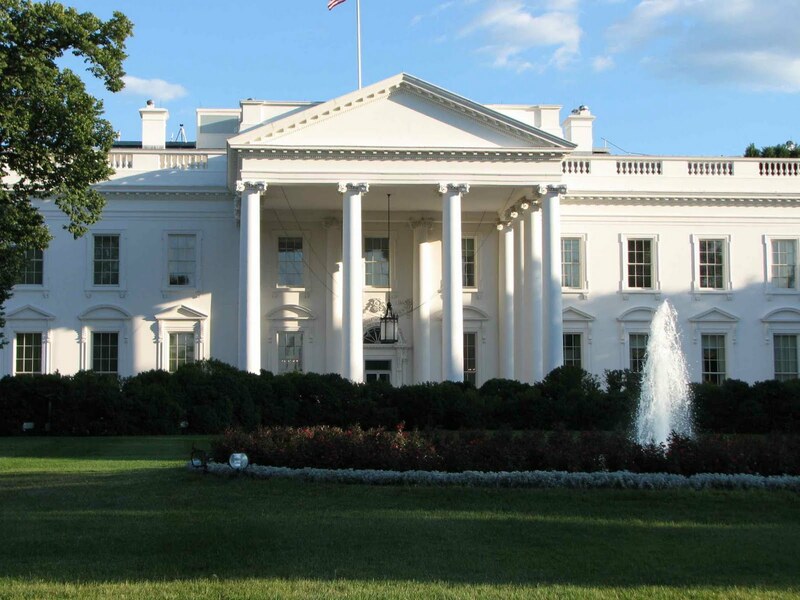 Grateful that we were able to check into our hotel room early, Kim and I had lunch, got into our suits and made our way to the White House, arriving 2 hours early. Big mistake! 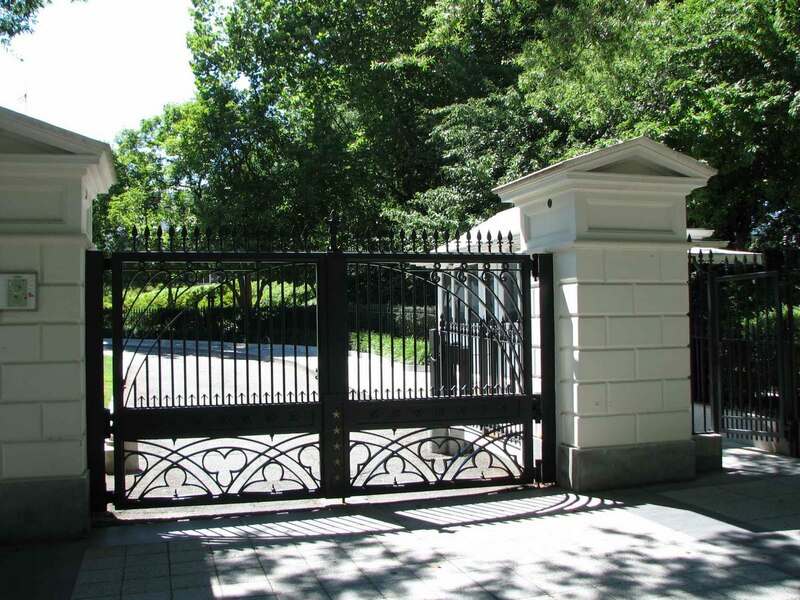 For future reference, one cannot get onto White House property until one hour before a scheduled event. We know this because we tried three times before we actually made it in. I’m guessing that Secrete Service learned their lesson from the Salahi debacle last year. 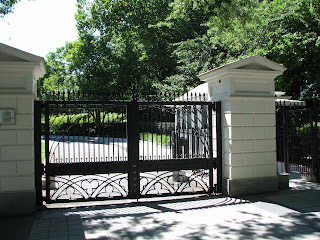 With at least 4 (visible) layers of security that included one foot thick iron gates and armed personnel analyzing your ID at every stop, no one is getting into the White House who doesn’t belong there – and only for the timeframe allotted. So we waited at a designated location, off property, in 90-degree heat, in suits, while other reception invitees arrived. We stood in line with Yolanda Hamilton and her partner, both New Jersey organizers from Newark-Essex Pride. They were also celebrating their third Anniversary. We met Darryl Moore, Chair of the National Black Justice Coalition, and Jeb – a life long activist who was the audio/visual guru for the famous 1993 March on Washington. 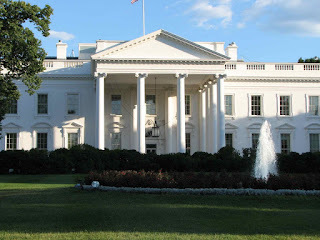 Nearly 2 hours after our first attempt, Kim and I, along with nearly 300 other attendees, were escorted through the multiple security layers, passed all the gates and finally into the East Wing of the White House. “Welcome to the White House,” was repeated over and over from increasingly more beautiful, uniform clad military personnel. They said it like they truly meant it. That mattered. Upon entering the marbled main lobby of the East Wing, champagne filled glasses stood waiting, but not for long. A six-piece military band entertained the crowd as we all continued to absorb the grandeur of where we were and, as importantly, why we were there. A few people were well-connected Washington-types, but the vast majority were everyday grassroots activists from across the nation. I was taken by the extraordinary degree of diversity in the room – all ages, all abilities, all races & ethnicities, wealthy and not so wealthy, etc. – coming together to be a part of history. 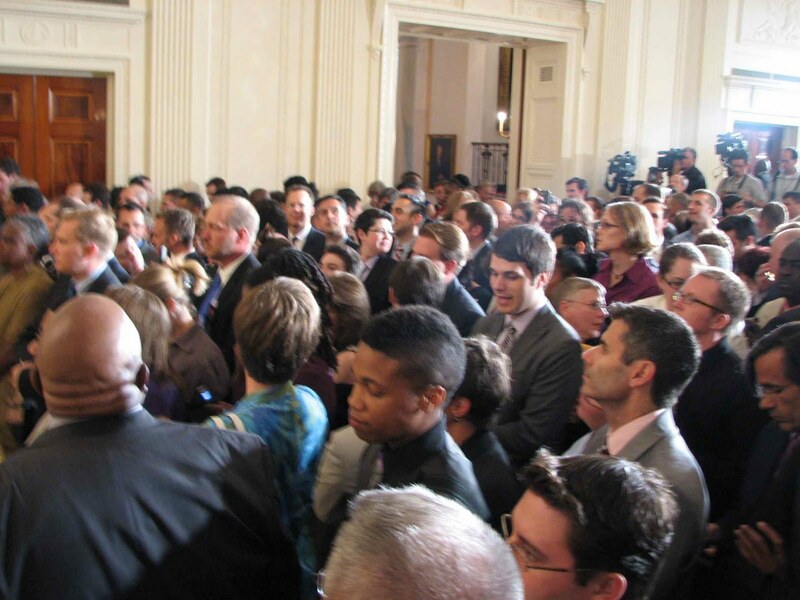 For the third time in his presidency, President Obama invited hundreds of LGBT advocates and our allies to the White House in recognition of LGBT Pride Month. Just weeks earlier, he had issued a Presidential Proclamation commemorating June as LGBT Pride Month. President Obama entered the East Room around 6PM and the crowd roared with deafening cheers. He talked about the great progress that had been made during the past two and a half years and how much more progress was still to be made. He asked to be judged not on the promises he has made to our community, but on the promises he’s kept. It was deeply moving to hear from President Obama himself all the work he has done to move our nation toward greater equality: passing a hate crimes law, requiring virtually every hospital in the US to allow same-gender partners access to their loved ones, ending the HIV travel ban, bringing an end to Don’t Ask – Don’t Tell (“within weeks, not months”), and no longer defending DOMA, among others. The address lasted only 10 minutes, but President Obama's actions – on that day and over the past two and a half years – have changed our lives, our community and our nation for the better. Yes, you could feel the long shadow of our enormous New York marriage victory less than a week earlier. A few heckled about his slowly evolving position on marriage equality. I don't know if it is, at it's core, a personal or political position. What I do know that he never promised us a "personal evolution" on the marriage equality. He did make a lot of pro-equality promises and I believe he has fulfilled most of them. I know that President Obama has done more – in word and deed - than any other US President in history to make our nation a more tolerant, accepting place for the LGBT community. 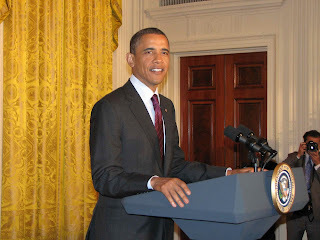 Of course we, as a community, should continue to demand more from President Obama and our nation. And we should demand it in a way that respects, rather than diminishes, all the work and sacrifice that has brought us to a place where full equality is no longer just a dream, but a reachable goal.